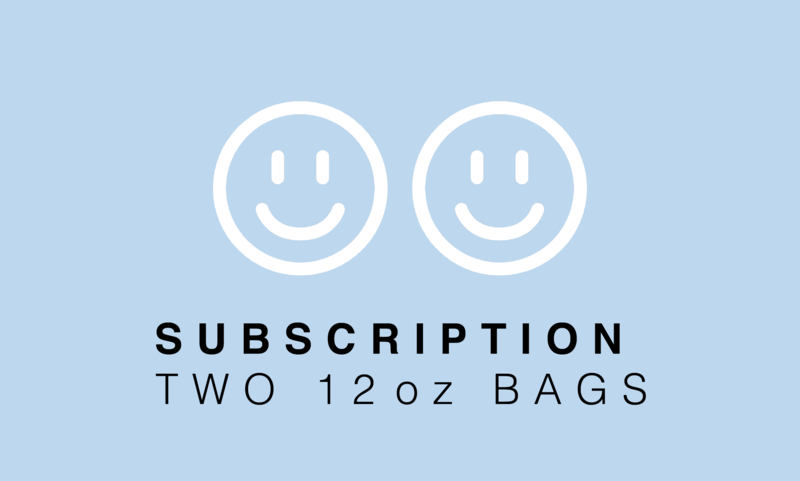 Two 12oz bags of whole bean coffee, roasted fresh and shipped the first week of every month for the duration of the subscription. The price includes shipping to a single pre-specified address. The two coffees in any given shipment will be different, of course, though it is possible you might get the same coffee in other deliveries. We select from our favorite coffees each month, and no bags will have a standalone retail price less than $18. The implicit price per bag falls the more bags you get per month, and the longer the duration of the subscription of course! We want this to be a good deal for you and for you to taste a wide variety of awesome coffees!